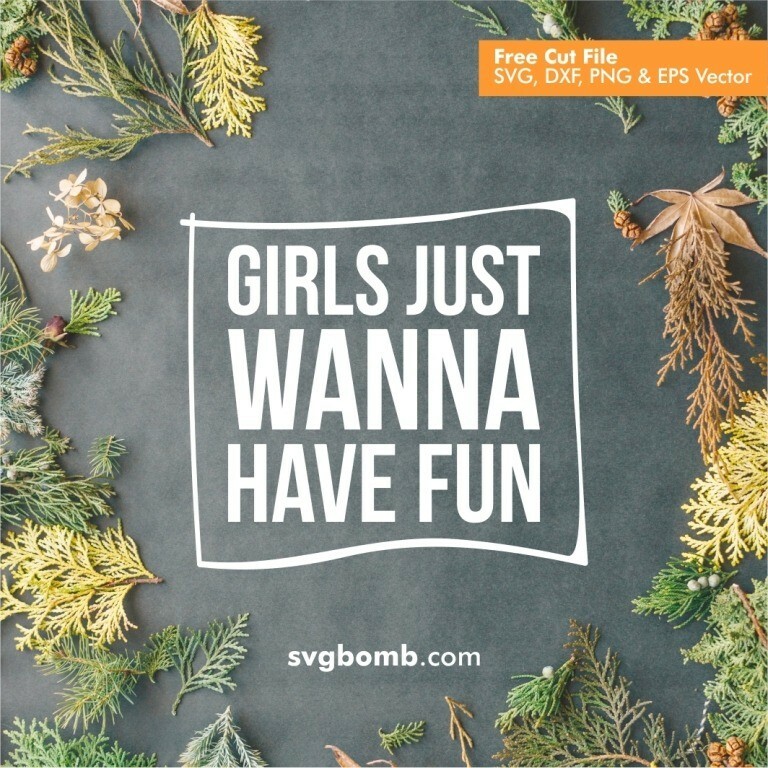 Free Girls Vector SVG silhouette clip art, This file can be scaled to use with the Silhouette Cameo or Cricut, Brother Scan N Cut cutting machines. EPS file For Adobe Illustrator, Inkspace, Corel Draw and more. SVG vector image perfect for Shirts, Mugs, Prints, DIY, Decals, Clipart, Sticker & More. Girls Just Wanna Have Fun die cutting files. Please, this file cannot be shared, copied, resold and distributed in its original format in any way. Not allowed to be used as a logo, company identity, branding and trademark. Copyright for all designs is owned by SVGbomb.com, with all rights reserved.